Watching McLuhan, you can’t quite decide whether he was a genius or just had a screw loose. Both impressions, it turns out, are valid. As Douglas Coupland argues in his pithy new biography, McLuhan’s mind was probably situated at the mild end of the autism spectrum. He also suffered from a couple of major cerebral traumas. In 1960, he had a stroke so severe that he was given his last rites. In 1967, just a few months before the Mailer debate, surgeons removed a tumor the size of an apple from the base of his brain. A later procedure revealed that McLuhan had an extra artery pumping blood into his cranium. Between the stroke and the tumor, McLuhan managed to write a pair of extravagantly original books. The Gutenberg Galaxy, published in 1962, explored the cultural and personal consequences of the invention of the printing press, and argued that Gutenberg’s invention shaped the modern mind. Two years later, Understanding Media extended the analysis to the electronic media of the twentieth century, which, McLuhan famously argued, were destroying the individualist ethic of print culture and turning the world into a tightly networked global village. 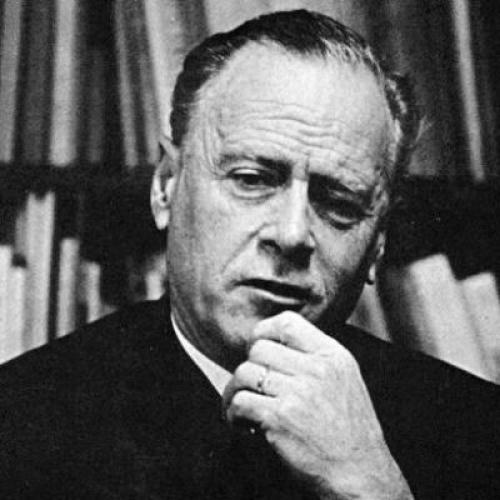 McLuhan was a scholar of literature, with a doctorate from Cambridge, and his interpretation of the intellectual and social effects of media was richly allusive and erudite. But what particularly galvanized the public was the weirdness of his prose. Perhaps because of his unusual mind, he had a knack for writing sentences that sounded at once clinical and mystical. His books read like accounts of acid trips written by a bureaucrat. That kaleidoscopic, almost psychedelic style made him a darling of the counterculture—the bearded and the Birkenstocked embraced him as a guru—but it alienated him from his colleagues in academia. To them, McLuhan was a celebrity-seeking charlatan. Neither his fans nor his foes saw him clearly. The central fact of McLuhan's life, as Coupland makes clear, was his conversion, at the age of twenty-five, to Catholicism, and his subsequent devotion to the religion’s rituals and tenets. Though he never discussed it, his faith forms the moral and intellectual backdrop to all his mature work. What lay in store, McLuhan believed, was the timelessness of eternity. The earthly conceptions of past, present, and future were, by comparison, of little consequence. His role as a thinker was not to celebrate or denigrate the world but simply to understand it, to recognize the patterns that would unlock history’s secrets and thus provide hints of God’s design. His job was not dissimilar, as he saw it, from that of the artist. This is not to say that McLuhan was without secular ambition. Coming of age at the dawn of mass media, he very much wanted to be famous. “I have no affection for the world,” he wrote to his brother in the late 1930s, at the start of his academic career. But in the same letter he disclosed the “large dreams” he harbored for “the bedazzlement of men.” Modern media needed its own voice, one that would explain its transformative power to the world, and he would be it. In retelling McLuhan’s tale, Coupland makes the occasional misstep. He belabors some points, and his obligatory meta flourishes fall flat as often as they amuse. But those are minor irritations. This is an affectionate, wry portrait that provides a perfect introduction to one of the most influential and misunderstood thinkers of recent times.